Tom Boonen’s spotless spring has seen him prove he is more than capable of making the big breaks in the big races, and that he possesses the best sprint in the peloton after six hours of racing. The Belgian, aiming for his fourth win in the race, will have to deal with the headache of being the big favourite this weekend. Though not quite as big as the task facing teams hoping to break his Omega Pharma-Quickstep team’s stranglehold on Belgian one-day races. In Edvald Boasson Hagen, Ian Stannard, Matt Hayman and Juan Antonio Flecha, Sky have four riders who can potentially break into the top ten, but none are proven race winners; the closest any came was Flecha who finished second in 2007. BMC’s Thor Hushovd was quiet last weekend at Flanders, but has made no secret of the fact that the winner’s cobble at Roubaix is what he most wants in his trophy cabinet. For good or ill, he’ll have team mate Alessandro Ballan looking to climb up the podium too. That nickname, ‘Hell of the North,’ comes from the utter devastation witnessed by the race when it first ventured back to the Franco-Belgian border after the Great War in 1919. But the 50km of cobbled farm tracks, those that force the riders into absolute purgatory for nearly seven hours, are no less worthy of the moniker. The first of the pavés of Paris-Roubaix comes nearly 100km into the race before the sectors become increasingly frequent as the riders snake their way towards the famous finish in the velodrome in Lille suburbs. The infamous Trouée d’Arenberg, 2.5km of the most devilish cobbles that can put an end to a rider’s chances in an instant, awaits with 80km to race. The Carrefour de l’Arbre and Mons-en- Pévèle that follow, both over 2km long, will also take their toll. This weekend there’s the prospect of a wet race for the first time in ten years, making the parcours even more treacherous than usual. 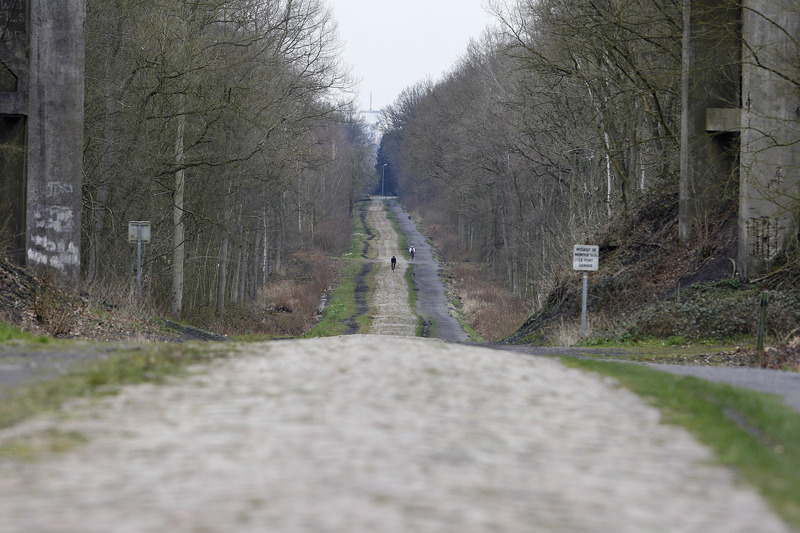 Paris-Roubaix favours the strong, the brave and the fortunate; this weekend will be no different. It’s been vintage Tommeke so far this year, cherry-picking the races he fancies and helping out his team with the races he doesn’t. He’ll be a marked man, but his sprint finish will force others to attack. Looking strong despite the shadow cast by the Mantova investogation. Ballan is BMC’s form rider at Roubaix. He’ll need to finish alone though to have a chance. There’s an Italian renaissance going on at Farnese-Vini and Pippo made the bergs of Flanders look easy last weekend. There are questions marks over his tactics, if not his form, but we won’t be too surprised if there’s some day-glo yellow on the podium. His 55th place at Flanders could be seen as sign of the former world champion’s lack of form, or an instance of him keeping his powder dry. He certainly lacks any standout results in 2012, but that is no different from last year where he came eighth. He’ll be Boonen’s deputy so could see his chances limited but the French champion will still be an integral part of Patrick Lefevere’s plan for Sunday. Chavanel in the break and Boonen in the bunch: it’s a team manager’s dream. The Dane looks to have put his injury problems behind him and is a good bet for a top ten, though perhaps doesn’t quite have the spark to force the selection and light up the race. He was left disappointed at Flanders when he got caught behind a crash at the foot of the final time up the Paterberg. 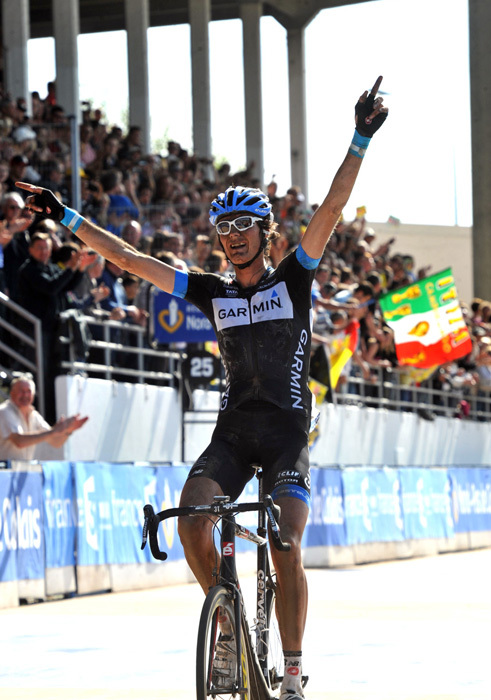 The Norwegian is going well in 2012 but has only ridden Roubaix once before: three years ago in 2009. Held back by his big frame last weekend, the flat parcours of Roubaix could be Stannard’s time to shine. One of just two Brits competing (with team mate Jeremy Hunt the other), the powerhouse from Chelmsford is our best chance. Katusha’s ageing Italian has plenty of experience behind him and has been a regular face at the front of the peloton this spring. Made an audacious but unsuccessful attempt to bridge to the leaders at Flanders and could be in the mix this weekend.